A wonderful group of artists are throwing open their studio doors for you, near Treboth, Bangor, for a weekend of art events, film screenings and amazing ‘happenings’. The Treborth Old Goods Yard Group (TOGYG) is an established group of contemporary local artists and performers who share a home and a philosophy. 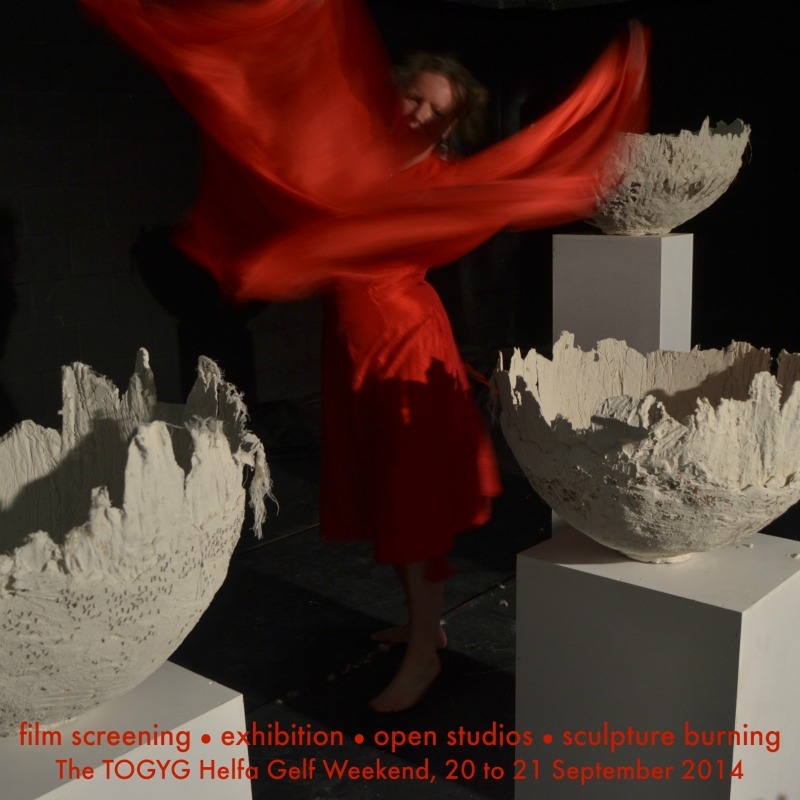 Pictured is Femke Van Gent, dressed in red, moving amongst Jaci Atkinson’s sculptures, photographed by Jo Alexander. The studio is open on Saturday, 20 September, and Sunday, 21 September, from 11am both days. Where: On the way to Treborth Botanic Gardens, Bangor end of Thomas Telford’s Menai Bridge. Turn sharp left after 40m. They are on the right after 20m. This entry was posted in Events, Local Anglesey and tagged Art, bangor, Events, gwynedd, Helfa Gelf, The Treborth Old Goods Yard Group, TOGYG, treborth. Bookmark the permalink.